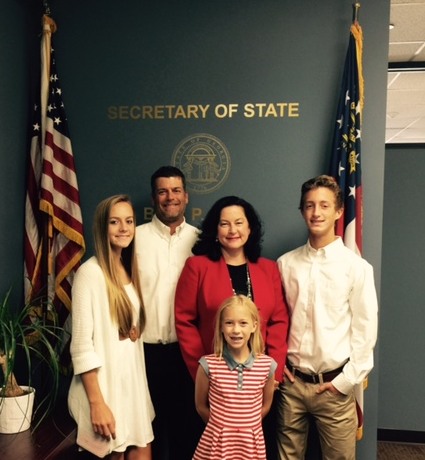 JaNice Van Ness accompanied by her husband and three children visited the Georgia Secretary of State’s office on Tuesday, September 15 to file for qualification in the special election for the District 43 State Senate seat this November. Van Ness was a Rockdale County Commissioner for eight years and is a local business owner. She is the owner and founder of Peachtree Academy, an early childhood learning center and private Christian school. JaNice is mother to three children and a wife to her husband Ken. 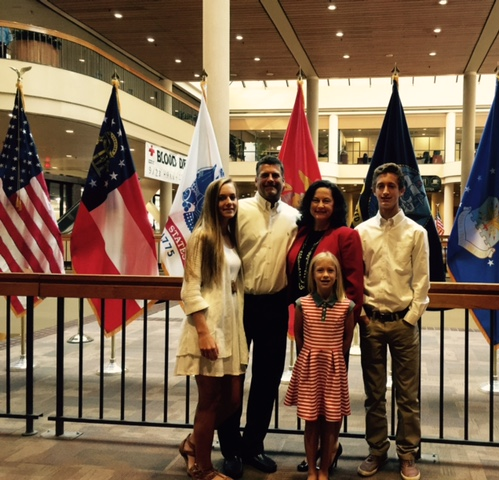 Van Ness is currently chairperson of The Rockdale Republican Party and she decided to run for the seat because she thinks it will put Rockdale County in a great position at the state capital. “It’s a great opportunity for our community to expand our voice,” she said. Van Ness says her local government experience and connection to the community in both Rockdale and Newton puts her in great position to win the seat. She says that she’s “in touch” with the community by way of her private school and other community organizations where she gives of her time and talents.